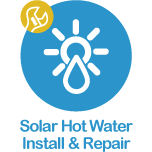 Specialising in repairs and installs for all gas appliances and solar hot water systems with a high standard in service, we have the solution for you. LPG uses top line products for all installations and offers a 24hr emergency service for all plumbing emergencies. So if you’re after a new gas appliance or hot water system installation, have a fault with your current gas or hot water system or you just need general plumbing and maintenance services then get in touch for a free site check & quote. All estimates are free and flexible according to scheduling & travel distance. 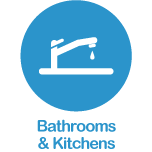 Leading Plumbing & Gas is a locally owned service that offers plumbing solutions for Bribie Island and greater surrounds. Leading Plumbing & Gas is a family owned business in Queensland that has been operating for over 15 years in the industry and specialises in Gas Appliances & Solar Hot Water Systems installation and repair. LPG has the solution for all your general plumbing needs too, big or small. Get in touch with us today to get a solution to your plumbing issue with a FREE site check. Follow the link below to get the ball rolling. Get in touch today to schedule a free site check! © 2019 Leading Plumbing & Gas Pty. Ltd. All rights reserved. Website design by Funk & Tall.